The 31st session of the Universal Periodic Review (UPR) was held from 5 – 16 November 2018 in Palais des Nations in Geneva. The UPR is a mechanism of the Human Rights Council, which evaluates UN member states every four years, and provides the state with recommendations to improve human rights conditions. IIMA creates and submits reports to the Office of the High Commissioner on Human Rights, detailing the status of women’s and children’s rights. These reports are then read by other UN states who use this information to formulate recommendations for the state under review on how they can improve their human rights situation. The state under review is required to follow up on implementation status of the recommendations received during the UPR session. Fourteen states were under review during this UPR session, of which IIMA attended the sessions of Saudi Arabia, China, Mexico, Mauritius, Senegal, Nigeria, Central African Republic, and the Congo. Of particular interest to IIMA were the reviews of Mexico and the Congo, for which the office attended the pre-session working group, hosted by UPR Info, where human rights situations were examined by NGOs. 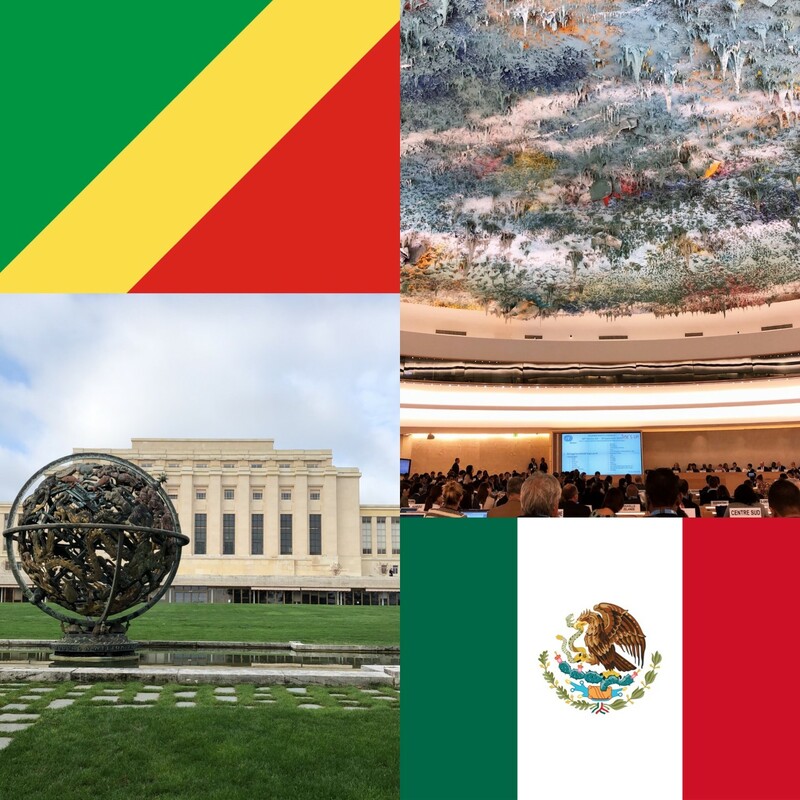 Concerning Mexico, IIMA’s intern, a Mexican young woman herself, Elizabeth Paredes assembled a lobby document that detailed recommendations for countries to consider proposing to Mexico during the current UPR session. Only states are allowed to intervene during the UPR process, therefore it is essential that NGOs advocate directly to states. Recommendations focused on discrimination against indigenous peoples, the right to education for vulnerable children, violence against women and girls, and rights of people with disabilities. Of the recommendations proposed to Mexico at the UPR session, 26 of 246 recommendations prioritized indigenous rights and overall 31 recommendations prioritized the effective realization of the human rights of vulnerable groups presented in IIMA’s report. At the session on 7 November 98 states participated in the interactive dialogue following the state’s report. Issues that were repeatedly addressed included allocating resources to protect the rights of women and children, journalists, and human rights defenders. States also called on Mexico to break the pattern of corruption in the country by establishing an independent general prosecutor’s office, as well as investigating enforced disappearances. Several interventions also pertained to protecting the rights of migrants who arrive in and pass through Mexico. At the UPR session for the Congo, which took place 14 November, states echoed several recommendations. The Congo is called to ratify the second optional protocol to the International Covenant on Civil and Political Rights and to reform their national human rights body in accordance with the Paris Principles. Other recommendations included improving the education system, with specific attention to girls, and improving the healthcare and birth registration systems. Furthermore, states recommended that the Congo adhere to its commitments in the Convention of the Elimination of Discrimination against Women.